There is an old saying that goes: measure twice, cut once. If you’re looking to buying a small sewing machine, it’s good advice to follow when you are shopping too. There are a lot of sewing machine options out there, so you need to do your homework (the measuring) before you buy (the cutting). You may think you should buy a sewing machine that includes every available option. However, a small sewing machine is often a more practical, budget-friendly choice. Depending on what you are going to sew and how often you will use it, a large sewing machine is sometimes just too much. For this review, we looked at price and user reviews. Small sewing machines will cost anywhere can range from cheap to expensive. The price depends on the features that are included. As with most things, the more features or accessories you want, the more you are likely to pay. We looked at different sewing machines as well as customer ratings and reviews to find the perfect small sewing machine for you. Each of these small sewing machines has something different to offer the beginner sewer. But, they are generally affordable and make a good first sewing machine. 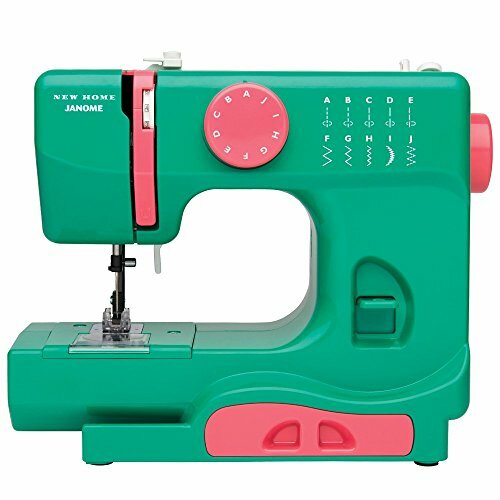 The Janome Easy-to-Use Sewing Machine is for beginners. With a durable metal frame and fun colors, this small sewing machine is easy to use. The detachable free arm allows you to sew collars and cuffs. It also gives you room to work with bulkier fabrics. The machine includes an instruction manual and access to YouTube tutorials. It has 15 different stitches with adjustable stitch widths and 4 different presser feet. However, there are some cons. It comes with a small workspace that doesn’t accommodate thick fabrics. Light over the workspace area is somewhat dim. And the front loading bobbin is difficult for some to master. Overall customers really like this machine. It has a rating of 4.7 out of 5-stars on Amazon. This small sewing machine has an easy stitch selector (just turn the dial) and an automatic threading system. It also has a 25-year limited warranty and free technical support for as long as you own it. The sewing machine has 27 different stitch patterns and 6 presser feet. It is also lightweight and easy to move. Unfortunately, the thread tension is sometimes inconsistent. It is hard to control the sewing speed. Also, the needle and thread are prone to jamming. The Brother XM 2701 has a price of $80 to $100 and a 4.5 out of 5-stars rating on Amazon. 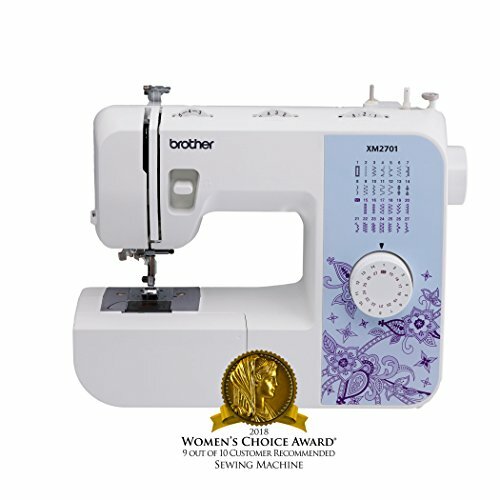 The Brother Project Runway CS5055PRW was awarded the "Woman's Choice Award" in 2018. This machine's easy-to-read LCD screen tells you exactly what stitch you are selecting. The bright LED light over the work area makes it easy to see what you are sewing. 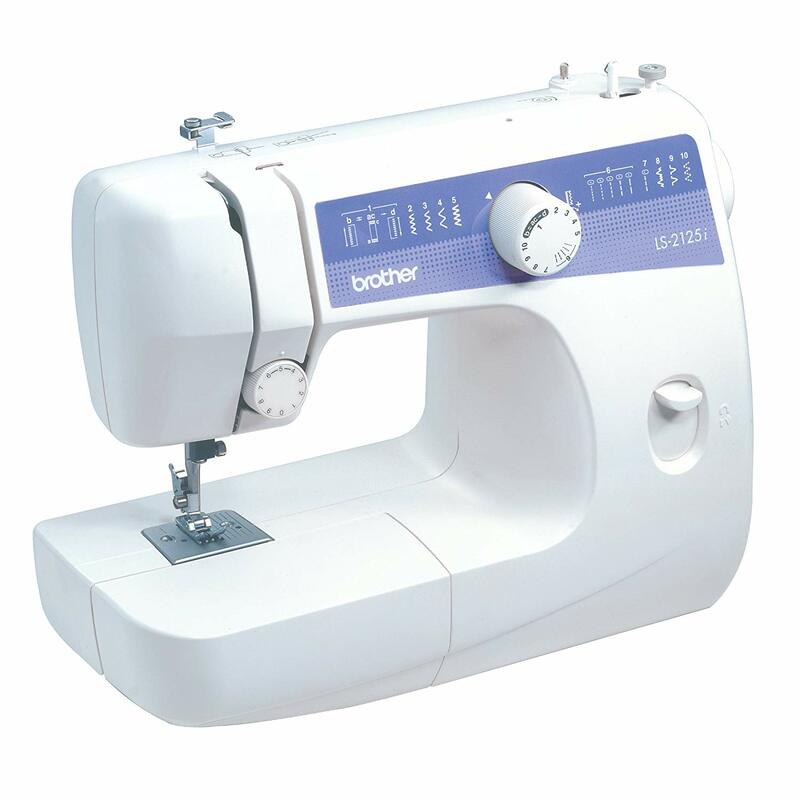 The Brother Project Runway machine has 50 different stitch patterns and includes 6 different presser feet. It also has a built-in stitch chart. There are some downsides, however. For instance, it's not as durable as other machines. Beginners have a hard time with it, and it is not a good choice for thicker fabrics. It is priced between $100 and $150 dollars and has an Amazon rating of 4.3 out of 5-stars. 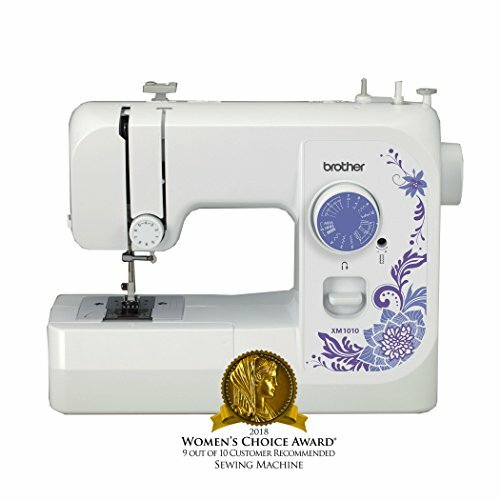 Another Woman's Choice Award winner for 2018, the Brother CS6000i is a great sewing machine. The large, well-lit work area is big enough for large projects such as quilts. The built-in free arm gives you even more flexibility, allowing you to work on pants cuffs and skirt hems. You can use it for quilting as well as general sewing projects. It includes nine presser feet and an automatic needle threader. Unfortunately, it is prone to jamming, has inconsistent thread tension and difficult to thread without the automatic thread system. It priced between $125 and $175 and has a rating of 4.5 out of 5-stars. Seven extra sewing feet are included. Rather steep learning curve to use this machine to full advantage. 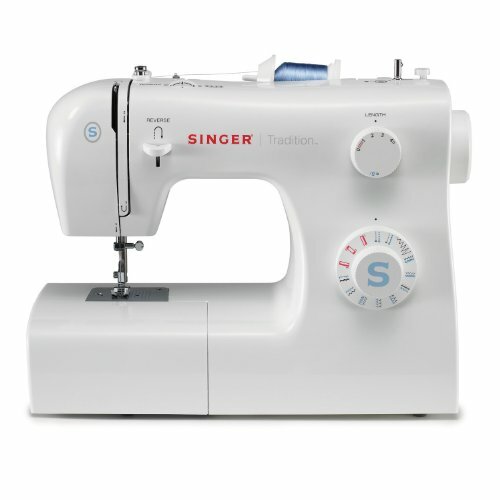 The Singer 7258 is the only computerized model on our small sewing machine list. Select a stitch pattern with the push of a button and the stitch length and width are automatically adjusted. Or, you can select the stitch length and width yourself. The large LCD screen and well-lit work area make sewing projects easy to complete. The Singer comes with 100 stitch patterns. It also has a push-button stitch selection and 10 different presser feet. However, the machine can be difficult to thread. Some customers say it has inconsistent thread tension and will not work if your computer breaks. It has an Amazon rating of 4.3 out of 5-stars and a price range of $275 to $300. The machine becomes noisy after sometime. Priced between $300 and $350, the Brother LS2125i is one of the more expensive small sewing machines. However, a 4.2 out of 5-stars rating, an attached handle, and a 25-year limited warranty may make the price worth it. Its compact profile and built-in storage make it easy to stash this machine almost anywhere. The machine has a carrying handle and built-in storage and 10 different stitch patterns. The Brother LS2125i's bobbin can be difficult to wind and load. It is also not as durable and has inconsistent thread tension. 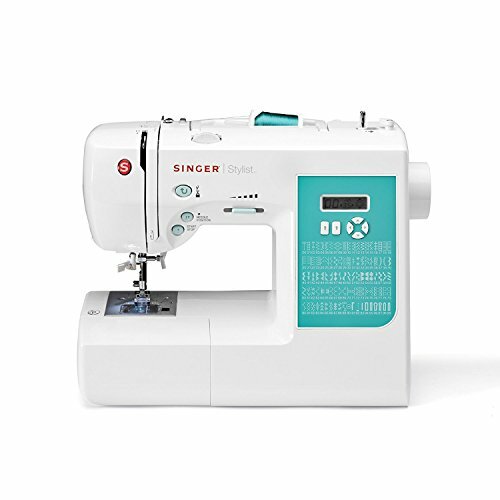 Built with beginners in mind this small sewing machine has snap-on presser feet and an automatic four-step buttonhole. The free arm makes sewing cuffs and hemming pants simple. This durable machine even has built-in storage for accessories. 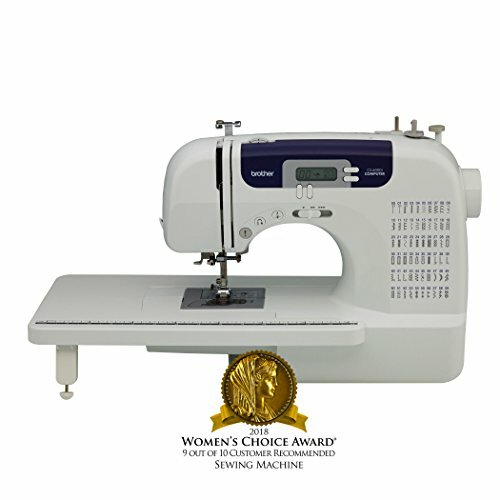 The sewing machine has built-in stitches, adjustable stitch length, and a durable frame. Unfortunately, it is prone to jamming, and the bobbin doesn't always stay in place or wind correctly. Priced between $250 and $275, the Singer Tradition 2259 has a rating of 4.1 out of 5-stars on Amazon. 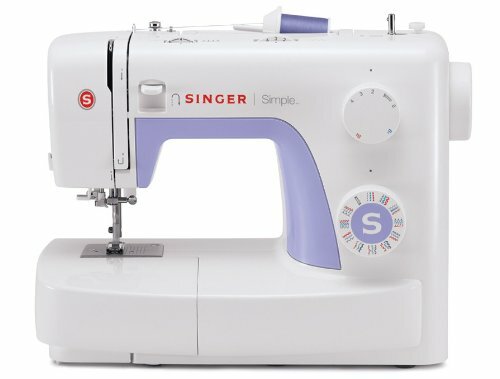 The Singer Simple has a rating of 4.1 out of 5-stars on Amazon and a list price of $95 to $200. This small sewing machine includes access to online classes to help you when you need it. Even with the sturdy metal frame, this machine is still lightweight and portable enough to carry to any room. It has easy to reverse stitch and comes with 19 stitches. Also, 32 pre-selected stitch lengths accompany the Singer Simple. The machine is prone to jamming and has bobbin issues. 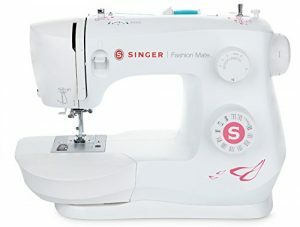 The Singer Fashion Mate 3333 has an average price range of $90 to $115 and an Amazon rating of 4 out of 5-stars. Selecting a stitch pattern is simple thanks to the Stitch Selection Dial. An LED light brightens up the work area, and this small sewing machine comes with a 25-year warranty. ​The Singer Fashion Mate has 23 different stitches. Further, multiple presser feet and accessories included and a durable metal frame. On the negative side, the bobbin tends to come out of the case, its needle jams frequently, and it can jam when going in reverse. An easy to use dial for stitch selection and threading instructions right on the machine makes it perfect for beginners. This small sewing machine includes special stitches for darning, quilting, and applying appliques. The sewing machine comes with 10 stitch patterns and 4 presser feet. It also has an easy stitch selector. The machine can skip stitches resulting in an inconsistent seam. Also, it tends to wobble when in use and has a small workspace. The Brother XM1010 costs between $100 and $150. This budget-friendly small sewing machine has a 4.1 out of 5-stars rating on Amazon. Small sewing machines are an economical option for people who need something for simple projects. They are also a practical choice for those who don’t sew very often. Small sewing machines are also a good choice for beginning sewers or even children. Most small sewing machines come with the “basics” you need to complete sewing projects. This includes the essentials to sew a few common stitches and perhaps some accessories, like different presser feet. Large machines may come with a lot of options you don’t need and might never use. While you may think it’s a good idea to buy these things now to have them “just in case,” you can always upgrade to a larger machine later. A small sewing machine is something you can use to practice and refine your sewing skills. Consider some of the following things before you purchase any sewing machine. What kinds of projects you'll be working on most of the time? If most of your sewing is mending or simple projects that only require straight seams, perhaps a small sewing machine is the way to go. If, however, you are ready for more advanced projects, like making your own clothing, you may want to purchase a large sewing machine that has more features. Small sewing machines are not as powerful as large sewing machines. They are not able to sew through thicker fabrics like denim or leather. They also can't handle more complicated projects like a shirt or a child’s costume. Often, these kinds of projects require more advanced stitch patterns and presser feet that aren’t always available on a small sewing machine. 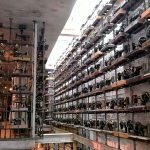 Some small sewing machines may only have three stitch patterns, while large sewing machines may have 30 or more. Depending on your sewing projects, you might only need two types of stitches: a straight stitch and a zigzag stitch. These two basic stitches are the most common stitches. 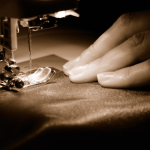 If possible, buy a machine that allows you to adjust the width and length of the stitch. Some small sewing machines have preset widths and lengths, while others allow you to choose the width and length. In addition to sewing forward, you want to make sure you get a sewing machine that can stitch backward. That allows you to “knot” your stitching by sewing backward over your initial stitch line, then forward again. This creates a solid “anchor” that ensures your hard work won’t unravel. Again, consider what you will use your sewing machine for most of the time. The majority of small sewing machines only come with basic “feet,” and you will need to pay extra for add-ons. For example, if you think you will sew zippers into things, you will need to have a special zipper foot for those projects. If you are interested in completing projects with buttons, you will need a special buttonhole foot. While most sewing machines come with a foot pedal, make sure it does. Some sewing machines have a knee pedal. You can find knee pedals on older machines, and it is something to think about if you are buying a used sewing machine. With a foot pedal, you press down on a pedal with your foot to run the machine. With a knee pedal, you push the pedal (which looks like a lever) to the side with your knee. While adults are usually able to operate a knee pedal, it is harder for children (or an inexperienced adult) to operate. Most small sewing machines are, well, small. Not only do they take up less space than larger machines, but they are also easily carried from one room to another. They might have their own case for storage and moving, but the case usually only fits the sewing machine. With a small sewing machine, you will have to find an appropriate table to work on when sewing. If it is a long project, you may have to leave everything out while you are working, or store it away every time you finish using it. Because the case only holds the sewing machine, you will also have to find a place to store any extra accessories you have. Large sewing machines tend to be heavier than small sewing machines and take up more space. They are generally not portable and usually stay in one spot. Sewers of any age who are just starting out should consider purchasing a small sewing machine. Most beginning sewers are completing easier projects that only require a straight stitch or a zigzag stitch. A small sewing machine also allows beginners to practice on something that is generally easier to operate than a large sewing machine. This can help build confidence while learning a new skill. Small sewing machines tend to cost less than larger machines because they have fewer features. If you’re considering a new sewing machine, a small sewing machine may be the better if you are a casual sewer on a limited budget. 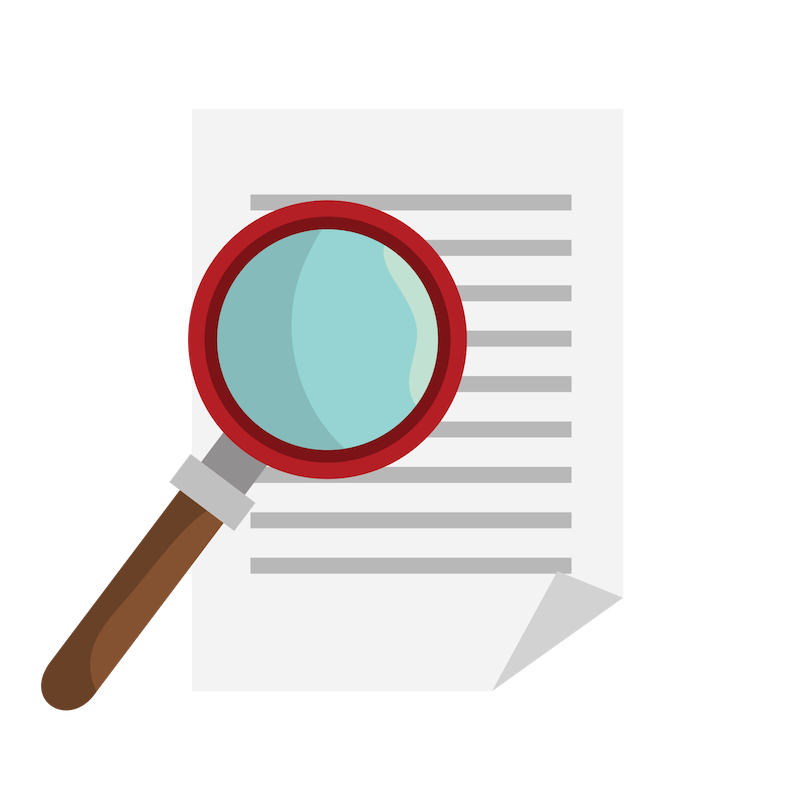 If they are still out of your price range, ask the seller if there are any sales coming up, or if they can give you a discount. Some dealers might throw in some sewing lessons with your new machine. If buying a new small sewing machine is still too expensive, consider a used model. Local sellers may offer discounts on their floor models. Some dealers have refurbishment programs allowing you to get a great deal on a tuned-up but used sewing machine. Make sure the used sewing machine you purchase includes the manual. And ask what kind of warranty is included with a used or refurbished small sewing machine. Before you purchase a new or used sewing machine, give it a test run. Bring some fabric scraps, and sew some simple seams to see how the machine functions. Test out the pedal and make sure you are comfortable with how it operates the machine. See if the machine wobbles or is hard to thread. Check if there is a light in the workspace and make sure it is bright enough for you to see. Make sure the workspace is large enough for you to feel comfortable while you sew. 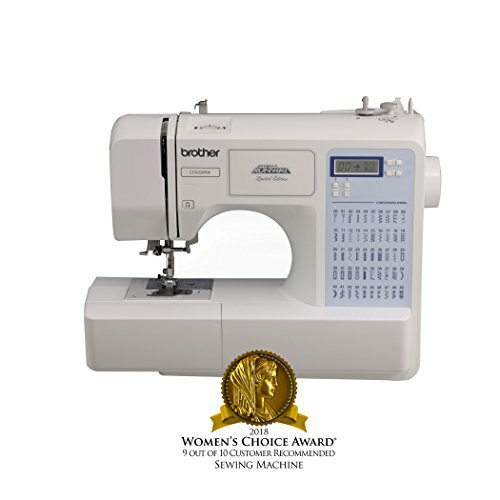 While there are many small sewing machines options, ultimately, the best choice is the one you are comfortable using, and that fits your budget. Think of a small sewing machine as a “starter” sewing machine. It’s one you can practice on while you hone your sewing skills. As your skills improve, you can upgrade to a bigger sewing machine later and take advantage of all the options large machines have.